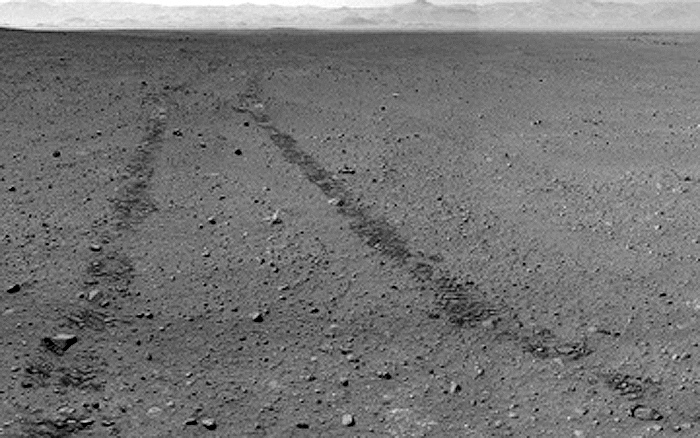 On Sol 42 (Sept. 17, 2012), Curiosity drove about 105 feet (32 meters), toward the east-southeast, bringing the mission's total driving distance to about 850 feet (259 meters). The Dynamic Albedo of Neutrons (DAN) instrument was used at two stops during the drive to check for hydrogen in the soil beneath the rover. During this sol, the rover used its Mast Camera to observe Mars' two moons, Phobos and Deimos, as each passed in front of the sun. Curiosity continues to work in good health. 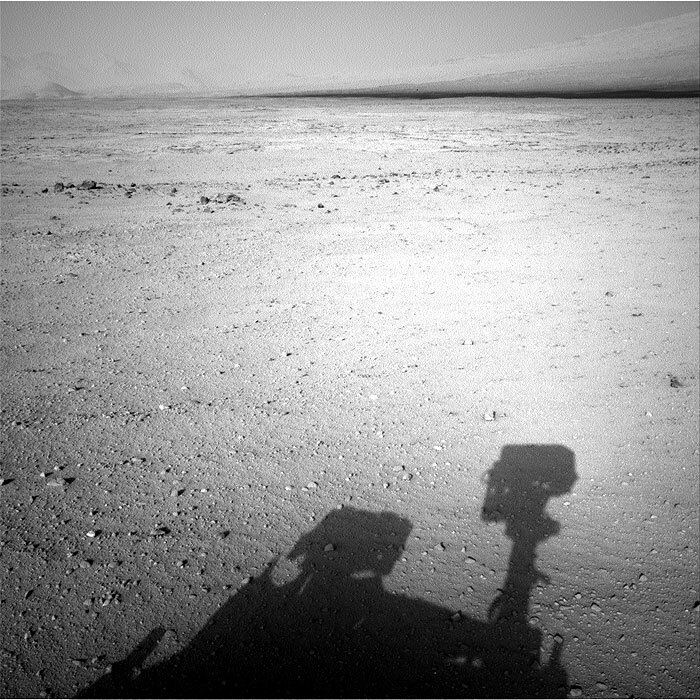 Sol 42, in Mars local mean solar time at Gale Crater, ends at 11:12 a.m. Sept. 18, PDT. 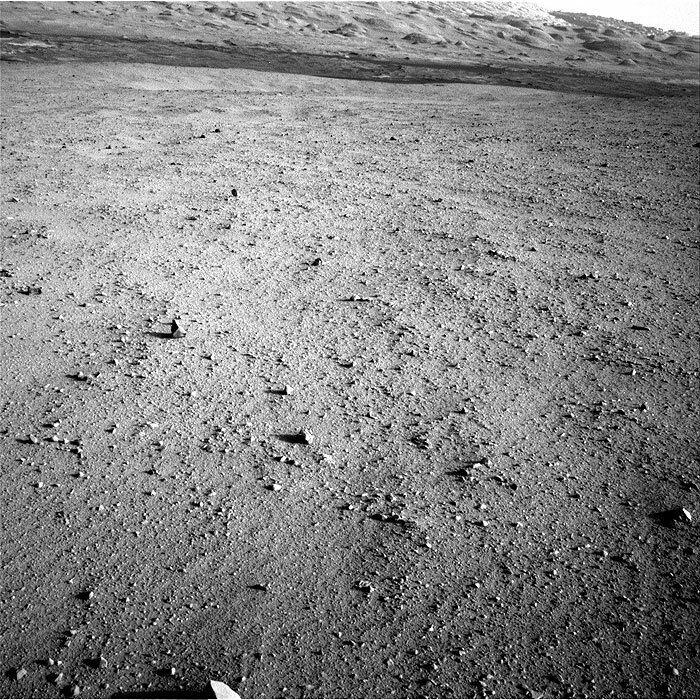 This image was taken by Navcam: Right A (NAV_RIGHT_A) onboard NASA's Mars rover Curiosity on Sol 42 (2012-09-18 07:39:54 UTC) . 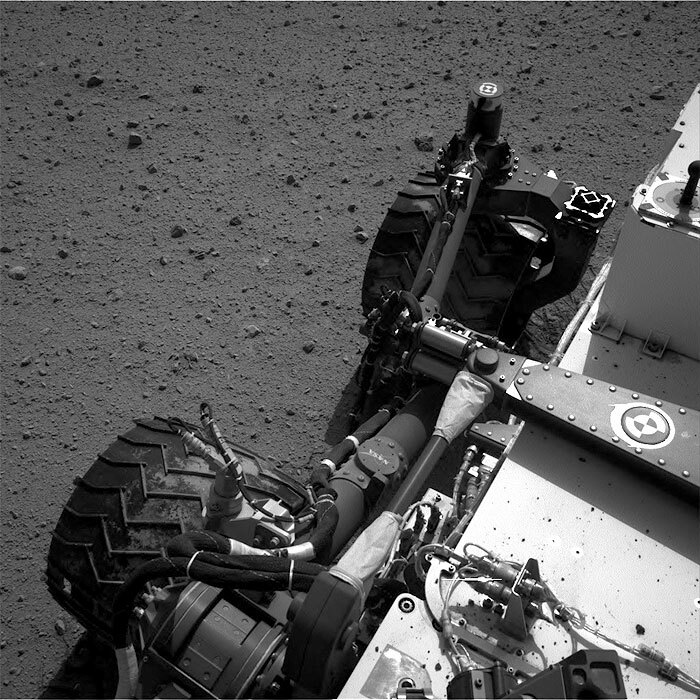 This image was taken by Navcam: Right A (NAV_RIGHT_A) onboard NASA's Mars rover Curiosity on Sol 42 (2012-09-18 07:41:33 UTC) . 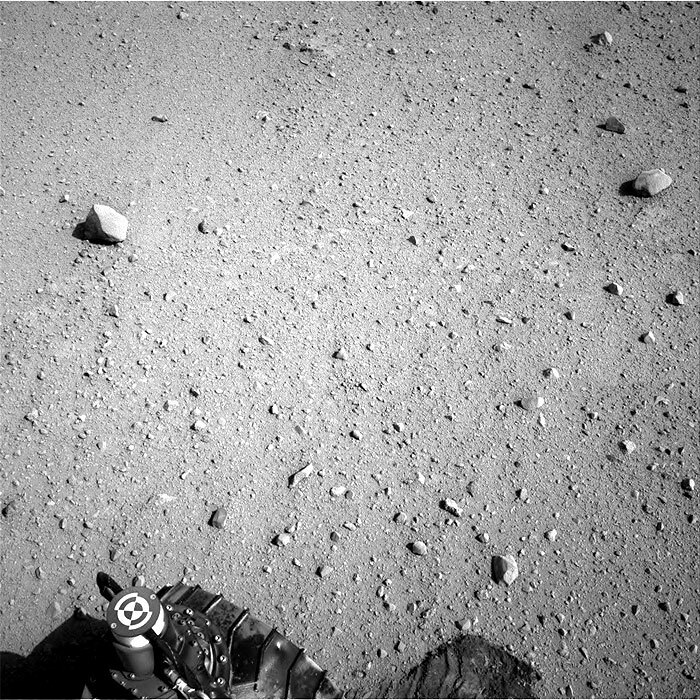 This image was taken by Navcam: Right A (NAV_RIGHT_A) onboard NASA's Mars rover Curiosity on Sol 42 (2012-09-18 09:38:11 UTC) .